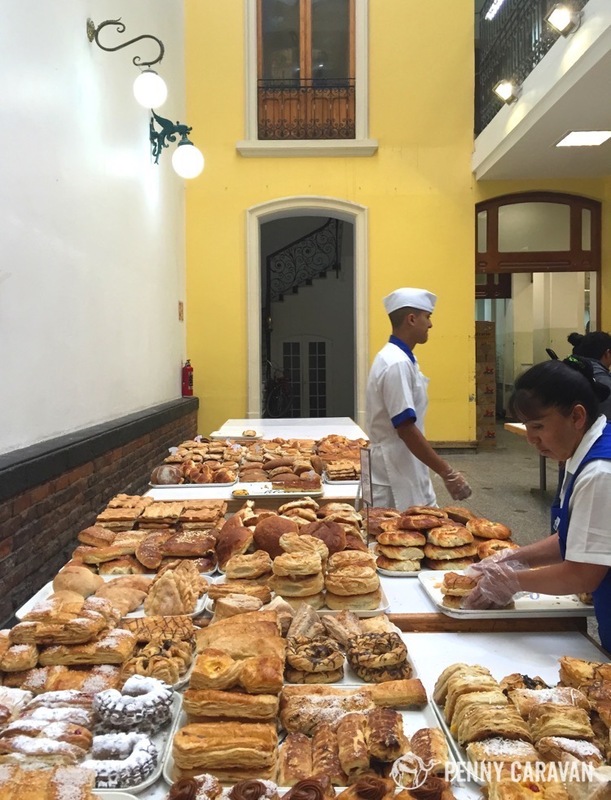 You’ll smell the pastelerías from a block away, and you won’t miss it when you pass by because they have full glass fronts to show off the rows and rows of sweet breads. Go early in the morning, pick up a large silver tray and tongs, and pile it up. Where we stayed near the Zócalo, we encountered two of the major pastelerias—Pastelería Madrid and Pastelería Ideal. Mole is a special sauce with many ingredients that takes a long time to prepare. There are many different mole recipes, but the traditional recipe uses crushed poblano peppers as the main ingredient. It can contain seeds and nuts, raisins, tons of spices, different varieties of peppers, and even chocolate. 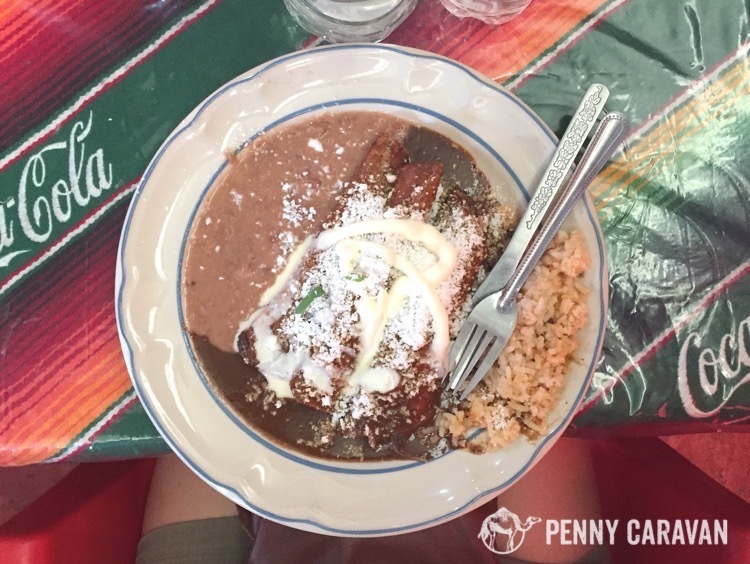 Mole on top of chicken enchiladas is one of my very favorite Mexican dishes and I believe I tried it at no less than four different restaurants during our short trip so I could taste the varieties! This photo below was from one of the restaurants outside the exit gates at Teotihuácan. At the Museo de Frida Kahlo, there is a sign in the kitchen showcasing Frida’s favorite mole recipe. I took a picture but I’m not sure I dare to try to recreate this intimidating recipe like this blogger did. Kudos! 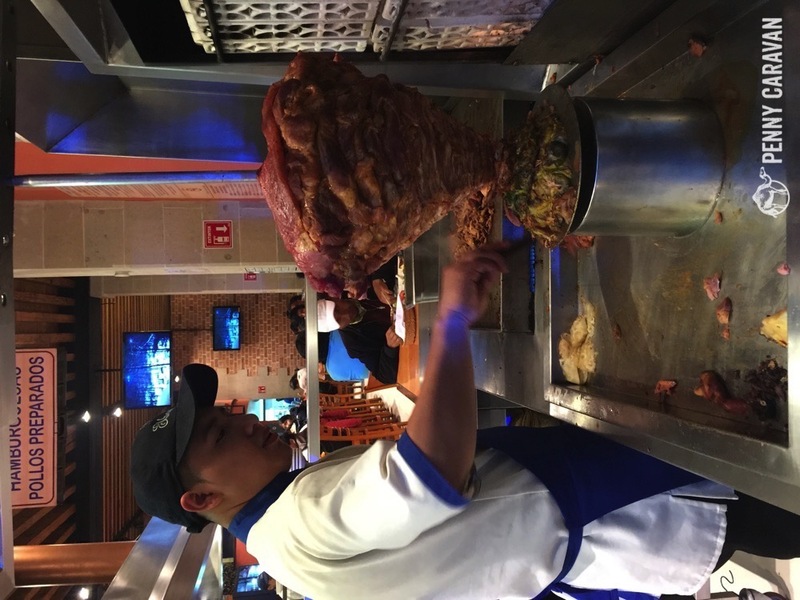 You will see many tacos stands with spits of roasting pork. 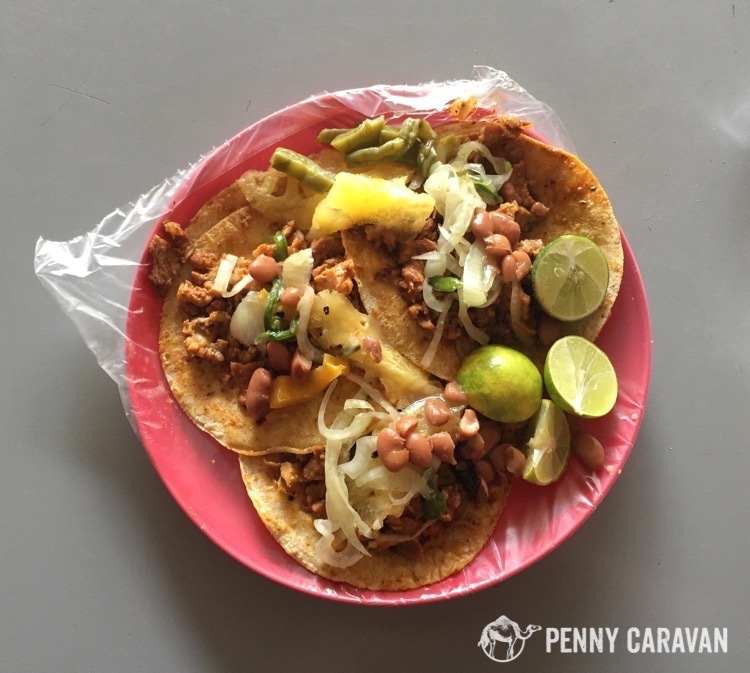 Ask for tacos al pastor and they will carve some meat onto 3 corn tortillas for you, usually with a slice of grilled pineapple on top. If you’re lucky, they will have an array of toppings for you to add to your tacos, like this stand below. Heaven. This is also a super cheap way to eat, usually about $30 pesos (about $2USD) for a plate of 3. Tacos al Pastor at Elkar Restaurante on Calle 5 de Febrero near the Zócalo. Taco fixins at Chupa Cabras in Coyoacán. Tacos al Pastor from Chupa Cabras in Coyoacán. 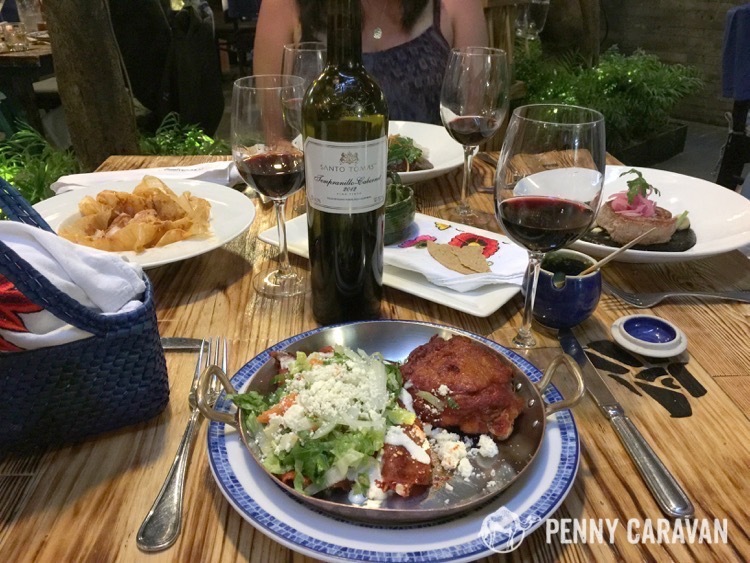 On our fancier night out to see the Ballet Folklórico, we splurged on this highly rated restaurant near the Zócalo. The ambiance was very romantic in an open courtyard with candles hanging from the trees. 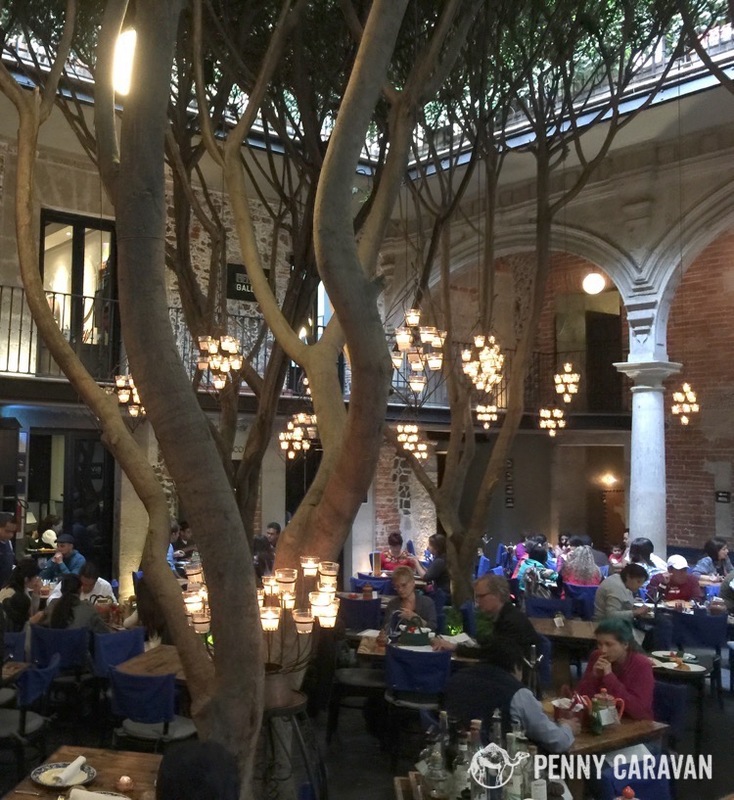 With a world renowned chef and recipes from each region of Mexico, the food here was absolutely delectable. We highly recommend this place! (Click the name for tripadvisor page with address and more details). 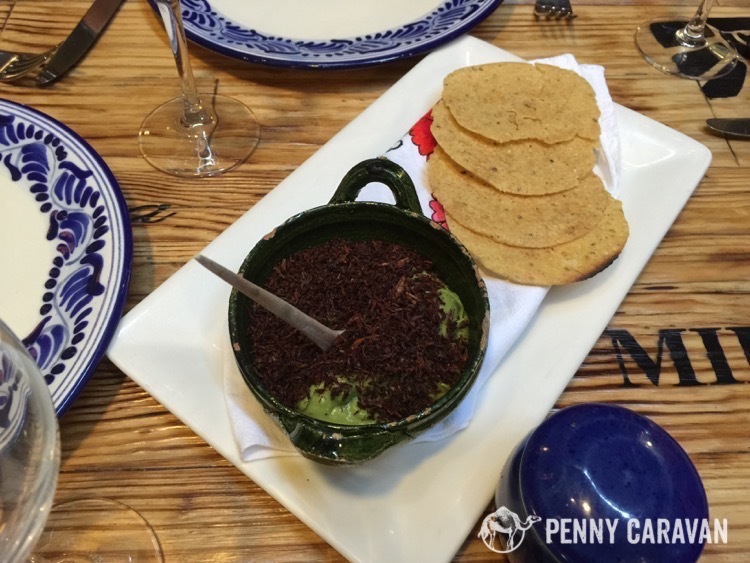 Our appetizer was guacamole topped with grasshoppers, $120 pesos (about $8USD). The Enchiladas Mineras from Guanajuato, $165 pesos (about $10USD). Doesn’t that look delicious? 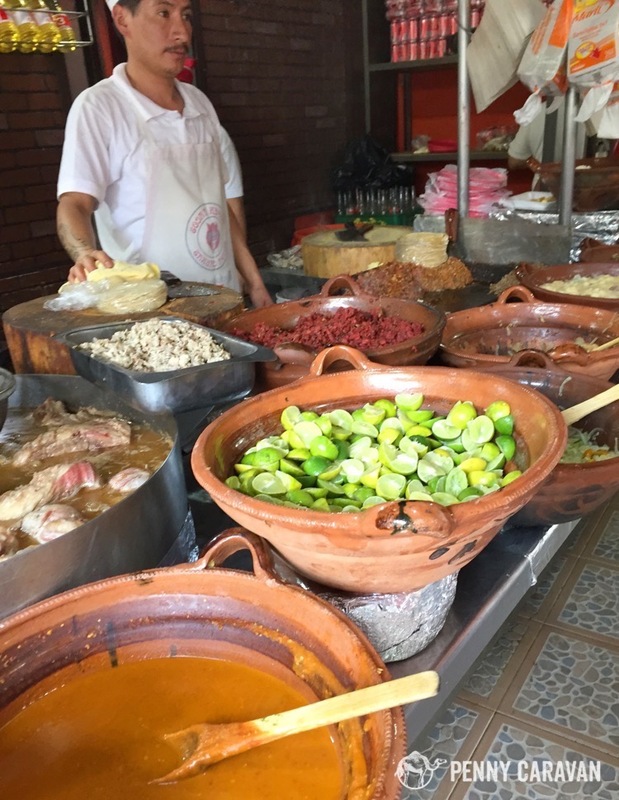 Wherever we go around the world, I always get homesick for the flavors of Mexican food. It’s simply the best. 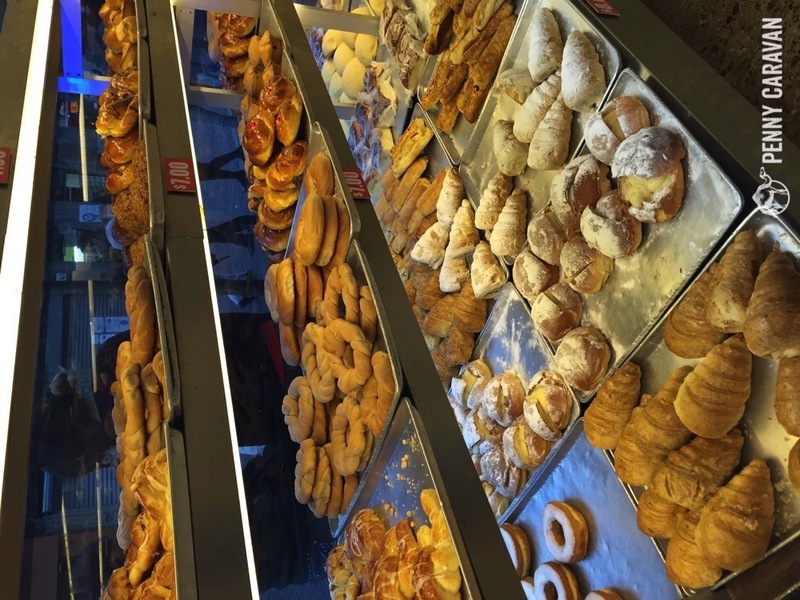 If you have other restaurant recommendations in Mexico City, we’d love to hear about them! Leave a comment!